Today we have another guest post from EveryoneDoesIT.com. This is a review of the Snoop Dogg Herbal G Pen. For those of you who have read our pen vaporizer buyer’s guide, you will know this isn’t a pen we personally recommend! However, there are some folks out there that do use it and like it, so we agreed to post EDI’s review. If you want to see the pen vapes we recommend though, check out our pen vape buyer’s guide here. The art of vaporization is on the rise. With people clearly vaporizing as a healthier way to inhale their favourite herbal blend, oil or concentrate. 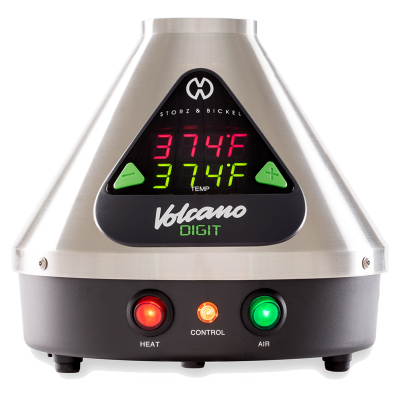 In more recent times, there has been a huge influx of portable, desktop and pen vaporizers. If you are a newcomer to the scene then the huge choice available may seem daunting, which is why Grenco Science have teamed up with an expert in his field, Snoop Dogg, to produce the next G Pen. Snoop is an invested partner in the company, so you would expect him to have put a lot of input into creating this product. Now anybody that has been around for the last 20 years will have indeed heard of Snoop Dogg and his infamous exploits, so you would assume that he would put his name to a product that should do everything it is designed to do, and crucially do it well. Does it? Let’s have a look how it performed. First impressions of the box and the pen itself give a sleek and snazzy design. The kit comes with everything you can need including charger adapters (UK & US as well as USB), cleaning tools and as a bonus a grinder and mini glass jars to store your desired herbs. You will hear a lot of mixed reviews about this product. Personally I feel that this pen is a little basic compared to a lot of others on the market, but that in no way devalues the overall product. Above all else its easy to use and is very portable and discreet, which is exactly what you would be looking for if you were new to the world of vaporizing. This is why I would recommend the Snoop Dogg Herbal G Pen be better suited to the novice. This pen is an okay starter for anyone that is looking to switch to a vaporizer pen. Although there are plenty of choices on the market, until you feel ready to be more adventurous and experimental with temperatures and vapour thickness, this is a decent introduction into the vaporizing world. If you want to look a little bit more at the Snoop Dogg Herbal G Pen or anything else in the range then check out EveryoneDoesIT.com. With same-day shipping and a price match guarantee you can’t go wrong. Want to Win a FREE Vaporizer? This pen is garbage man. It doesn’t even vaporize. The “glass herbal tank” is a joke. You put the herb directly on a metal coil and that’s all there is to it. It’s basically just an electronic smoker that is a pain to clean and keep working. I’m really surprised you guys have a review endorsing this. Subscribe to this post and be notified of follow up comments via email (you can even respond right from your email inbox too! )Get notified of new comments on this post. If discussion generates more than a few emails daily your subscription will be paused automatically.